Prepare to be mesmerized by amazing visual illusions. 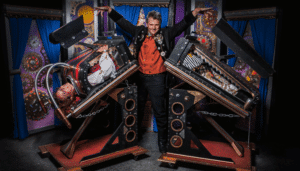 These talented, high-energy magicians will perform inexplicable feats of magic, mixed with a whirlwind of comedy. They’ll tickle your ribs and leave you baffled! Reserve your tickets in advance to avoid disappointment. *Please note that Sky High Magic Series tickets do not include access to museum.